2. Make Science Fairs a Family Affair. Some of you might be saying, “Okay, now you’ve lost me.” The very thought of having to help create a science project can be scary if you don’t have a science background. Don’t underestimate your child’s imagination or creativity. Let them come up with a project. Even if the best you can do is add moral support, you can assist them in finding the help they may need. Golden, being technically-minded, loves science fair season. “While we made sure our son did the work,” she writes, “we were right there with him for support and encouragement.” Support and encouragement is important if we are going to get more diversity in STEM fields. Nicole Lou writes, “The STEM workforce is no more diverse than it was 14 years ago, and it may be because smart kids with STEM interests can only go as far as their resources and support allow them. Some schools simply aren’t equipped to give these youngsters the skills they need for their projects.” Parental support and encouragement are valuable regardless of whether a school has lots of resources or not. 4. Make Finding Creatures Around the House Fun. Golden writes about the joys of finding click beetles and ribbon snakes in her house and using them as teaching moments. I’m not sure about you, but finding a bug in my house has seldom been a moment of joy or learning. The fact of the matter is, however, that at one time or another you are likely to find a fly, or spider, or a cockroach scurrying across the floor. This might not delight you, but you ask some interesting questions about the creature you spot and look for answers to those questions with your child. Questions like: How do spiders spin webs? How long do flies live? How long have cockroaches been around? You might even get your child to start asking the exterminator a few of those interesting questions! 5. Make Halloween About STEM. You might be thinking that Golden wants your child to dress as Albert Einstein or a giant Lego block, but she was thinking about decorations more than costumes. “Halloween is always a great opportunity to use one’s imagination,” she writes. “It is also an opportunity to teach basic electronics in the creation of a super cool Halloween dragon, like we did a couple of years go. Most of the stuff came from the junk drawer, although the lens for the eyes required a trip to our local bakery in search of cake plates. Josh got to learn about batteries, resistors, and LEDs. He was also in charge of making the dragon roar when an unsuspecting trick or treater approached – via a Jurassic Park dinosaur audio clip from his tablet to a Bluetooth speaker hidden in the trunk.” That level technicality may beyond your abilities, but teaching a child how to run speaker wires or use wireless systems can also provide teaching moments. 6. Make Your Kids Partners, Not Bystanders. The greatest gift we can give our children is time. 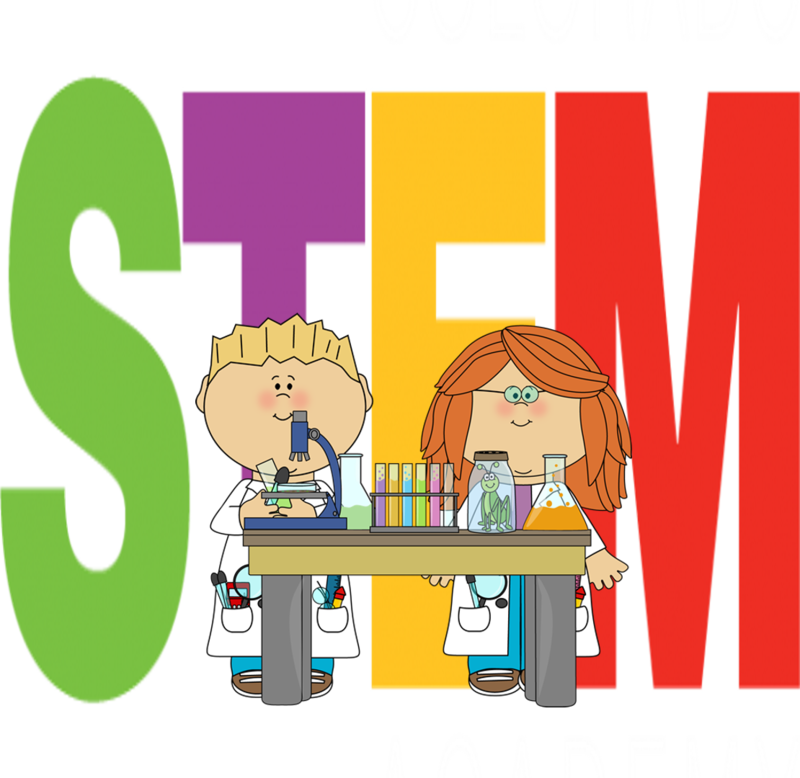 Golden writes, “I believe the best way we can encourage our kids towards an interest in STEM is to model it with our own enthusiasm as their parents, and be there to cheer them on in their endeavors. Encourage them to come up with ideas during a family project and make sure and utilize some of them. Make your kids partners, not bystanders. Even at 6 years old, Josh was in the garage with his dad helping to make the hammers out of dowels that we put in the paleontologist kits for his birthday party.” I believe that project-based learning can help foster an appreciation (if not love) of STEM subjects. That’s why I, along with a few colleagues, founded The Project for STEM Competitiveness — to help get a project-based, problem-solving approach into schools near where we live. Although the Goldens’ child was a boy, girls can have just as much fun and develop just as keen of interest as boys. Mayim Bialik (@missmayim), actress on “The Big Bang Theory,” asserts, “You don’t need to be a mathematician to know there is gender disparity when it comes to Science, Technology, Engineering and Math (STEM) education in this country. Part of the difficulty of getting girls interested in STEM is the common misconception that it’s reserved for boys. Despite the continued progress of women in the STEM world, there remains a notable absence of females in math and science professions. “ Bialik knows of what she speaks; she has a Ph.D. in neuroscience from UCLA. She notes that when she was about 15 years old and filming “Blossom,” she had a tutor who served as her first female role model in science. The tutor showed her that someone could be as passionate about biology as art or poetry. Parents can play the same role with their children. Doing so is one of the best things they can do to help their children prepare for the future. Nancy Golden, “6 Tips for Raising a Kid to Love STEM,” Design News, 2 October 2015. Nicole Lou, “5 Ways to Support Minority STEM Students,” Popular Science, 17 September 2015. Mayim Bialik, “Who said girls aren’t good at STEM?,” CNBC, 18 September 2015.